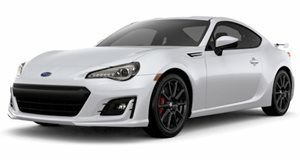 When it comes to dedicated sports cars the market is quite limited, especially at the price point you can get the BRZ at. For $25,495 you can get the Premium model that has a lower-spec interior and the 6-speed manual transmission, and if the auto transmission is a need then you’ll be paying a starting price of $27,645 for the Limited option, although that one can also be had in manual guise. Both options get you a horizontally opposed, normally aspirated 2.0-liter boxer motor with 205 hp and 165 lb-ft of torque available. All in all, the Subaru BRZ is a brilliant option and doesn’t really need that turbocharger everyone has been waiting for. When the Subaru BRZ first hit the market with it’s horizontally opposed, normally aspirated 4-cylinder engine fans of the brand were upset at the lack of a turbocharger and insisted the automaker would bring a different version out a few month later with the “right” spec. Now five years later it’s clear there was never going to be one. The car has been through some updates and even without boost it’s a popular tuner car. You still get a 2.0-liter with power up to 205 hp, brilliant handling, great styling and a race-like interior wrapped up in a driver’s car. Inside a Subaru BRZ things are decidedly race-inspired. Alcantara and leather combination Recaro race seats are pure sports and can be adjusted to get the optimum race / driving position. The rear seats are bucket style but aren’t really there for any purpose, no one would want to drive anywhere in that space. The dash features trimming that matches the seats with thick red cross stitching the same goes for the gear gaiter and the handbrake lever. The multifunction 3-spoke steering wheel is now leather wrapped too, behind that is a 4.2-inch driver information screen along with the instrument cluster. All materials throughout the car have been upgraded to be better to the touch and the eye. The centre of the dash houses the screen for the infotainment system and the Subaru Starlink navigation, below that there’s the climate control. Everything is easy to reach and as a bonus, it looks good too. The Subaru BRZ has always been marketed as a driver’s car. At first people thought it was an excuse for the lack of power, but it actually does offer up a very good ride with great handling. The car has the optimum sportscar layout with low and rearward engine placement resulting in brilliant balance and poise with a near perfect 54%-46% weight distribution. The stiff sports suspension, the Torsen limited slip differential, and a quick 13.1:1 ratio gives the car precision handling that’s best exploited on a racetrack. Steering feedback is very good and as a result you know exactly what the car wants to do and even lets you force the car into oversteer to scare passengers. Most report the car as needing more power, but the available is good enough for a lot of fun on both street and track in the quick 6-speed manual, its in the 6-speed automatic you may be wanting more. At least that has paddle shifters to play with. When the Subaru BRZ was released back in 2012 the horizontally opposed 4-cylinder lump was listed as producing 200 hp and 151 lb-ft of torque. Five years later and the latest incarnation of the FA 20 motor now makes a claimed 205 hp and 156 lb-ft of torque which is quite honestly barely noticeable when driving. Even though it’s flat, the motor is smooth and missing the Subaru burble as seen in the turbocharged WRX cars. 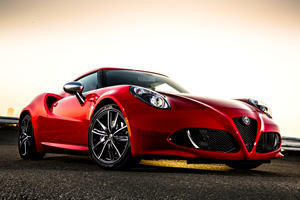 The transmission options are for a 6-speed manual that offers an involved and rewarding driving experience. The lever has a very short through between gears giving a true racecar feel to things. The 6-speed automatic is also good but does make the car feel a little less powerful, possibly because it adds a feeling of weight to the car. The Subaru BRZ features stability control with track mode; ABS and brake assist as the active safety systems, while passive safety systems include front and side airbags. Tech in the BRZ comes in the form of a 4.2-inch driver information screen in the instrument cluster that relays vital information to the driver, including a lap timer and a G-force meter. The infotainment is screen is the base for the STARLINK Multimedia connects apps that include access to news, navigation, food, weather, music, podcasts, audiobooks, and other multimedia content through Pandora. There’s also keyless access with a race-like push-button start. The Subaru BRZ is a brilliant driver’s car with all the right bits in all the right places, and most importantly, it comes at an affordable price. 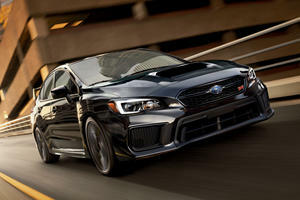 Since the car’s release, even in the face of lower than expected power, it’s become a popular tuner car with numerous aftermarket options to enhance the power and handling. From the showroom though, you get a car with a brilliant weight distribution, a race-inspired interior, a brilliant short-ratio manual transmission and a good helping of street cred. There’s no reason not to consider a Subaru BRZ as a daily driver and a weekend track toy. Get one before others realize what's up. All will be revealed at Geneva next month.